The Lashkar-e-Tayiba and other Pakistani terror groups having links with the Al Qaeda may pose a danger to the United States with their ability to trigger a major crisis for nuclear-armed Pakistan, including a war with India, which may require US intervention. With Osama bin Laden dead, and only a small number of Al Qaeda operatives in Pakistan and Afghanistan, some US leaders are talking up the threat of other militant outfits in the region, The Christian Science Monitor reports. 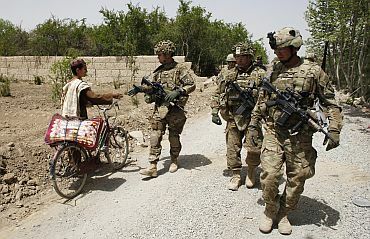 Such talk appears aimed at convincing critics why significant US forces must remain in the region at a time of war fatigue, the report said. "The key is making sure there are no safe havens for those transnational terrorist groups in Afghanistan," General David Petraeus told a reporter days after bin Laden's death. By tallying up terror groups like the LeT, the Tehrik-e Taliban Pakistan and the Haqqani Network, the number of "transnational terrorists" rises from just a few hundred Al Qaeda militants to thousands of violent extremists to keep an eye on. 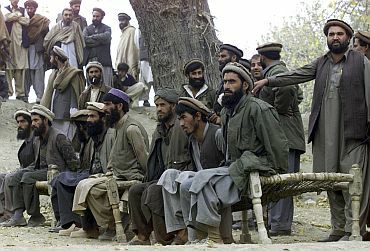 These three groups, having links with Al Qaeda, have yet to demonstrate much determination and success at striking in the US or Europe, but they could pose a present danger to the US for their ability to trigger a major crisis for nuclear-armed Pakistan, including a war with India, the report said. "We have concerns about them attacking India because that's the most likely way that we are going to get an India-Pakistan crisis," said C Christine Fair, a regional expert at Georgetown University in Washington. The LeT, a Pakistani group, historically focused on India- chose targets in the 2008 Mumbai massacre that were designed to kill not just Indians, but also Jews and Westerners, the report said. 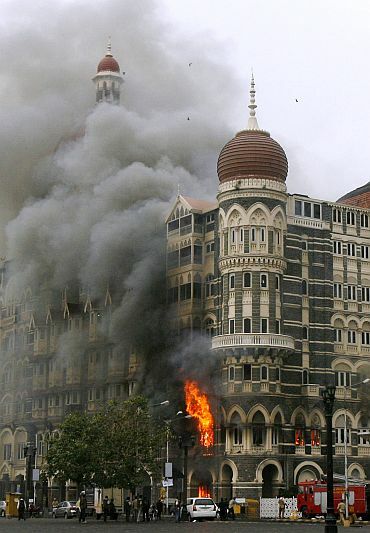 Adding to the international dimension, American LeT operative David Headley travelled to Mumbai to plan the attack for the group. According to Headley, the LeT also paid for him to travel to Denmark to plan an attack on a newspaper there, but Pakistan's premier spy agency, the Inter-Services Intelligence, pressured the group to shelve the attack, the report added. "That LeT's leadership contemplated an attack against Denmark is significant, but so too is the fact that it remained susceptible to ISI pressure," LeT expert Stephen Tankel wrote for the New America Foundation. While most experts see the LeT as focused on India, especially the Kashmir region, many worry that another major attack against India would prompt a military conflict requiring US intervention.